Child Car Accident Claims – How Much Compensation Can I Claim? Children that have been injured in a car accident, whether they were a passenger in a car, or a pedestrian, have as much right as an adult to make a compensation claim for the injuries they have sustained. However, the car accident involving children claims process is a little bit different when the claimant is under 18. The claimant would need a parent or guardian to make the claim on their behalf and to act as a litigation friend. You’ll find more information about this further on in the guide. A guide to car accidents involving children claims. What is a child car accident claim? What to do if your child is involved in a car accident causing injury. 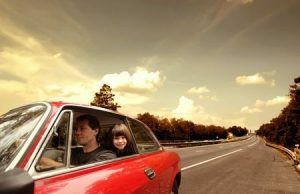 How to begin a car accident involving children claim. What can be claimed for after a car accident involving children? What makes a child’s accident claim different? Facts on road traffic accidents involving children. Most common car accident injuries involving children. Car accident involving children compensation, how long does it take? How much compensation will I get after a car accident involving children? No Win No Fee car accident involving children claims. Why choose us as your claims service for your car accident involving children claim? Around 5000 children are either seriously injured or die on the roads in the UK each year, although this number has been steadily decreasing over recent years. Many of these accidents are when children are walking or playing outside and the risks increase with age. When a child has been involved in a car accident and has suffered serious injury as a result, getting compensation can have an enormous impact on the quality of life for that child and their family. Compensation can help parents be able to get the support they need to be able to give the best care that they can to their child. If your child has been involved in a car accident, you will certainly have many questions about the car accidents involving children claims process and what car accident involving children claim payouts are to expected, and many more. This guide is a good place to start when looking for answers and contains lots of information regarding road traffic accident involving children claims, eligibility, and where to begin. You are also welcome to contact our expert injury solicitor law firm for more answers that are unique to your child’s case. Being involved in a car accident and suffering an injury as a result is very hard and traumatic experience to have to go through, but for a child to endure the pain and suffering of a car accident injury feels somewhat worse, especially if it is your child, and was due to someone else’s negligence. Although money cannot make up for seeing your child suffer, a car accident involving children claim not my fault can payout compensation that could make a huge difference to a child’s treatment, recovery and even their future. A child car accident claim therefore is one that not only will pay for the initial costs of their injury, but can also provide funds for future treatments and allow them to get the support they may need to be able to live their life as independently as possible. Write it down – Write everything down that you or your child can remember about the accident, such as time and place, possible cause, events before, during and after the accident. Witnesses – Try to get as many details as you can of any bystanders and witnesses. Having a witness statement can really help your case. Photos – Take any photos you can of your child’s injuries that they have. These provide visual proof of your pain and suffering that they are going through. Medical report – Ask for a copy of your child’s medical report for their injuries they have sustained from the car accident. A report will be made that will not only list their injuries but will include recommend treatment and expected recovery period. This will be used to determine the amount of compensation they could receive. Third party details – Get as many details as you can from the driver/s involved in the accident. Name and address if you can but also don’t forget details such as make and registration number of their car and insurance details. Proof of expenses – Keep any proof of costs that you may have incurred as a direct result of your child’s accident. These would include, travelling costs, childcare costs etc. This is where someone is authorised by the court to represent the claimant (litigant in person) and conduct their case on behalf of them. A litigation friend is usually required in such circumstances where the litigant in person is under 18, is someone with a mental disability or for someone that has requested a litigation friend. These support and accompany the claimant in court. They do not necessarily have to know or be a friend of the claimant and often have some training and / or knowledge in the relevant area of law. Claimants’ do not automatically have the right to a McKenzie friend, but courts usually allow them if requested. Other than giving moral support, a McKenzie friend can also take notes during court proceedings, discreetly give the claimant advice, and help organise case papers. However, they are not allowed to speak out in court proceedings, act on the behalf of the claimant or act as their agent or manage the case outside of court. These are people who are not legally qualified but can accompany the claimant to court. They are also allowed to represent the claimant and present the case to the court on their behalf. The claimant must be in court as well though for them to do this. A Lay Representative is usually either the claimant’s parent, guardian, spouse, friend, colleague or partner. The court will need to be advised beforehand that the case will be presented by a Lay Representative. If your child has been in a car accident and has suffered an injury as a result, they will be entitled to make a claim. To get help with this, you can just ring us and speak to a member of our professional team. When you call us, we will offer you a free consultancy session where you can ask as many questions as you need to with regards to the car accident involving children claims process. We will then also ask you some questions as well just so that we have all the information we need to be able to start your claim. Once we have discussed your case, we will begin to launch your claim. All our specialist claims solicitors work on a No Win No Fee basis and so there is absolutely no initial financial out lay for you and no unexpected bills. You won’t be required to pay any legal fees unless your case is a success. Sometimes a local medical needs to be arranged. We can arrange this at a clinic local to you and a time that is convenient for you. This is free as part of our service and so wouldn’t cost you anything. Of course, we can discuss this in more detail during your free consultation. Medical Expenses – Any costs that you have due to the result of your child’s injury, you can claim for. Travel Expenses – Any costs of travelling to and fro the hospital, parking costs, any vehicle adaptions and any alternative travel costs would be covered. Care Claim – If you have had to have assistance around the house while your child recovers, the person who has assisted you can file a claim. Loss of Earnings – This refers to any loss of income incurred due to having to have time off to care for your injured child. General Damages – This refers to the amount of compensation your child will receive that reflects the pain and suffering they have experienced. You may have some anxieties about filing a compensation claim on behalf of your child if they have suffered injuries due to a car accident, but with the help of our experienced solicitors, the claims process is surprisingly fairly straightforward. A road accident claim can be claimed for on behalf of your child immediately after the car accident. If you decide not to make a claim straight after the accident, you have up until 3 years after your child’s 18th birthday to start a claim on their behalf, although it always better to start it sooner rather than later where possible. In most situations, once your child turns 18, they normally take responsibility for making the claim for their injuries themselves. If the claim is already in progress, the child will take over the responsibility of it once they turn 18. However, if a claim has not been started by the child’s 18th birthday, they then have 3 years from their birthday to make a compensation claim themselves if they need to. In some circumstances though the child may not be capable of dealing with their car accident claim after they turn 18, for example, if they have suffered severe injuries they may not be physically and / or mentally able to. For any more advice regarding car accidents involving a child claims, please feel free to contact one of our claims expert solicitors and they will endeavour to help you as best they can. As children get older, the risks of being involved in a road traffic accident are increased. Around 5000 children in Great Britain under the age of 16, either die or get seriously injured on our roads every year. Boys tend to be more likely to be involved in a car accident of some kind than girls, in fact, almost two thirds of casualties are boys! When children are walking or playing outside is when they are most at risk, almost two out of three accidents involve children who are walking or playing. It’s five times more likely that a child from a low income background will be involved in a road traffic accident than a child from a higher income background. A child with hearing difficulties is ten times more likely than a child with normal hearing ability, to be involved in a car accident when walking or playing outside. Children that are from an ethnic minority group are involved in twice as many accidents when outside walking or playing. A third of accidental deaths in 0-14 year olds are due to road traffic accidents. The most common car accident injuries involving children are when the children are actually pedestrians. Although road traffic accident involving children claims process is slightly different, it doesn’t affect the time it takes for the claim to be final. The details surrounding your case will be what determines’ how long it could take to get the car crash involving children compensation payouts the claimant deserves. Due to the numerous circumstances surrounding car accidents and the amount of different injuries that may be sustained when a child has been involved in a car accident, we cannot give an exact figure of what you might receive when making claim. A car accident involving children claims calculator cannot accurately understand the measure of pain and suffering your child may be going through, or know the full impact an accident causing injury to your child can have on them, but not just the child’s life, but the whole families lives. However, what we can do is give you some of the average compensation for car accident involving children payouts for certain injuries so you can get an idea of what amount you are possibly looking at receiving. The table below lists the more common injuries, please don’t worry if the injury your child has sustained is not on there, just call us and we can shed more light on the matter. Loss of anticipated earnings £10,000 - £400,000 Compensation for anticipated future lost earnings and will include calculations based on future pay grades. Loss of benefits £5,000 - £500,000 This compensation factor is based on your income lost. Pain and suffering £1,000 - £200,000 Dependent on the level of pain and suffering a victim has endured. Minor brain injury £1,675 - £9,700 Minimal brain damage but compensation can vary due to factors such as on-going headaches, other on-going symptoms, recovery time, severity of initial injury etc. Severe chest injuries £76,500 - £114,100 Serious injury having an effect on the heart or lungs. Continuing pain and suffering. Less severe chest injuries £9,575 - £13,650 A less severe injury to the chest, but the victim might have minor permanent tissue damage. Minor head injury £1,500 - £9,500 Damage to the head that does not result in any brain damage, but no long term effect on the lungs working properly. A head injury not resulting in brain damage. Moderate head injury £12,500 - £200,000 Injuries that have affected the mental capability which might include loss of motor function and/ or a personality change. Severe head injury / Very severe brain damage £214,350 - £307,000 The extent of the victims physical limitations, life expectancy and degree of insight will determine the level of compensation awarded. The maximum compensation payout will usually depend on there existing hardly any (if any) language or basic communication and also considered would be if the victim display any awareness of their environment. Minor shoulder injury £350 - £6,700 Pain suffered and short-term restriction of movement of the arm due to the shoulder injury. Moderate shoulder injury £6,250 - £9,750 Pain in the arm giving limited arm movement. Severe shoulder injury £9,500 - £37,000 Pain in the arm with impaired movement. Minor neck injury £1,800 - £6,200 Neck pain and whiplash type short term damage. Moderate neck injury £29,600 -£42,300 Restricted neck movement and longer term damage. Severe neck injury £35,500 - £112,450 Severe pain in the neck with impaired movement, possible paralysis. Minor back injury £350 - £9,850 Temporary injury of the back with only expected short term pain. Moderate back injury £8,750 - £30,750 Permanent injury to the back which will unfortunately mean ongoing long term back pain. Severe back injury £29,750 - £123,300 Loss of the victims motor function or even paralysis. Minor leg injury £1,800 - £17,900 A broken or fractured leg or both legs which are going to heal in due course. Moderate leg injury £21,750 - £104,100 Loss of use to one or both of the legs. Severe leg injury £75,100 - £215,000 One or possibly both legs have had to be amputated. Spinal Injury Quadriplegic (Paralysis) £246,750-£307,000 Very severe injury of the spinal cord. Spinal Injury Paraplegic (Paralysis £166,500 - £216,000 Severe injury of the spinal cord. Face Injury - Very Serious £15,400 - £73,200 A facial disfigurement or has severe scarring of the face. Compensation will be affected by the level of severity. Face Injury - Moderately Serious £12,200 - £27,300 Facial fractures or breaks. Face Injury - Minor £1,700 - £12,350 Minor facial scarring. You may find a car accident involving children compensation calculator on a car accident involving children compensation amounts forum website or similar that may give you a figure, but it will only be an estimate. All our personal injury solicitors (in house) operate on a No Win No Fee basis. What this basically means is that unless your claim is successful and you win your case, you do not have to pay us a penny! Therefore, there are no surprise legal bills or any financial outlay. We will only charge you when we’ve won your case of which the payment will be a set percentage of the compensation. In the unlikely event that we lose, you do not have to pay us anything. With No Win No Fee, what have you got to lose? Absolutely nothing! There is no gamble with us. Our expert in house claims solicitors have decades of experience in the personal claims industry and especially car accident claims with a great track record of successfully claiming the maximum compensation payout amounts for our clients over and over again. We always do our upmost to do right by our clients and get them the compensation they deserve. We have a professional team that’s trained in dealing with compensation claims that work alongside our legal experts to bring an outstanding service to our clients. We understand that you are going through an emotional and stressful time at the moment and so will do our best to make the claims process as smooth and easy as possible for you. We will hold your hand every step of the way and work hard to get you the compensation claim result you’re in need of. We are a friendly and reliable team that work well together and give all our client’s the fantastic service we are well known for, just take a look at our client feedback. If your child has been injured after being involved in a car accident and you want to make a claim on their behalf, or have any questions, all you need to do is call us on 0800 073 8804. Your call will be answered by a member of our professional and highly experienced team who will be more than happy to help you in any way possible. They can talk you through the claiming process so you have a better understanding of what’s involved and how to get started. We are friendly and very approachable and will be empathetic to your situation. You can rest assure that we will fight your corner for you and do all that we can to get the maximum compensation amount that you deserve. This is the government site for road accidents and safety statistics which you may find interesting. This is the legislation for the Road Traffic Act 1988. This is regarding the governments reports of their aim to help reduce accidents to children and young people in the home or on the roads. This is a link to another of our guides about general car accident claims that maybe additionally useful to you. Again, this is another link to one of our other guides about being claiming as a passenger in a car accident and so could be particularly helpful if claiming on behalf of a child passenger injured in an accident. Check out our whiplash compensation claims calculator, if you have any questions on whiplash compensation amounts for your childs whiplash claim contact us today for free legal advice.